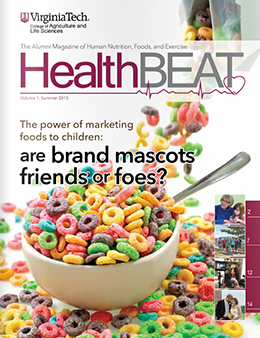 The Department of Human Nutrition, Foods, and Exercise’s alumni magazine is available online. Make sure to check out all the great features highlighting research, Extension outreach, students, and more! What’s the best thing you can do in a digital space to promote community? Be human. In our ever-evolving world of communications, we try to stay up to date with new trends on visual communication. Adobe Slate is an app that can allow users to create dynamic, responsive digital layouts for story telling. We put together one based on the newest issue of Innovations as a way to tease to our stories on the website. Please take a moment to visit http://adobe.ly/1KIa8lj and send any feedback to Susan Gill (susan83@vt.edu). What’s up in the VT, CALS, and VCE web world? The CALS Office of Communications and Marketing won a number of awards at this year’s Association for Communication Excellence in Agriculture, Natural Resources, and Life and Human Sciences conference in Charleston, South Carolina. ACE is the premier national organization in agricultural communications. A gold award was presented to the team for its media relations campaign covering the opening of the new Human and Agricultural Biosciences Building 1, which garnered coverage in local, regional, and national television news shows, magazines, and newspapers. Thea Glidden, Zeke Barlow, Tim FisherPoff, Susan Gill, Bobbi Hoffman, Josh Chambers, Amy Loeffler, and Mark Chorba worked on the campaign. The office took home a bronze award for its Eat Smart, Move More marketing campaign that featured more than 40 billboards around the state. Team members om the project were Thea Glidden, Tim FisherPoff, Nickola Dudley, William McKenzie, Brandi Evans, and Amy Loeffler. A bronze award was given in the technical publications category for the comprehensive Field Guide to Stink Bugs of Agricultural Importance in the United States, which covered the entire United States. Team members included Thea Glidden, Tim FisherPoff, Lori Greiner, and Bobbi Hoffman. 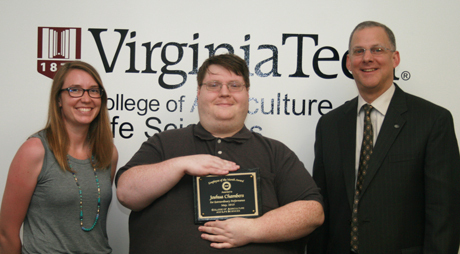 And another bronze award was given for user-friendly interface and new design of the Virginia Cooperative Extension website. Thea Glidden, Susan Gill, Lori Greiner, Josh Chambers, and Constance Moulder worked on the project. Feeling creatively uninspired? Here are some tips! Communicate to Connect is a monthly webinar series presented jointly by Virginia Cooperative Extension and North Carolina Cooperative Extension designed to cover communications and marketing fundamentals that will help you to become a better communicator and to connect with those in your community. This professional development opportunity is open to all CALS and VCE faculty and staff members. The next webinar topic will be Telling Your Story to Local Government and is scheduled for Thursday, May 14 at 11 a.m. A panel of Extension agents from North Carolina and Virginia will be presenting tips for communicating and working with government officials and stakeholders. To join the webinar, please register online at https://vce.az1.qualtrics.com/SE/?SID=SV_0cZMUk2OgQG4r7T. The session link and connect instructions will be provided before the session. Please visit the marketing training page on the VCE Intranet for more details. If you have any questions for suggestions for future topics, please contact Lori Greiner at lgreiner@vt.edu. The latest news releases, upcoming events, social media updates, and media stories about CALS are now all found in one location — the CALS Newsroom. Designed as one-stop shop for all the current news on the college, the site is constantly updated with the latest stories by and about faculty, staff, and students. Under the “CALS in the News” section, you can find the most recent stories about our faculty and students from some of the biggest media outlets around the world. The “Latest CALS News” section features the most recent news releases put out through VT News. 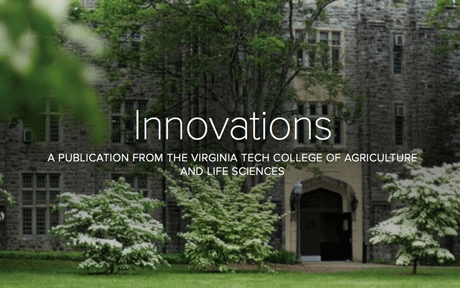 Other sections include upcoming events, VCE News, our Twitter feed, links to CALS videos, updates on the VT Research blog, and more. In the coming months, an Experts Directory will be featured on the same page. This directory will list faculty by research expertise. The goal is to increase the exposure of our faculty and establish them as subject-matter experts for both the media and the public. Please take a moment to look around!